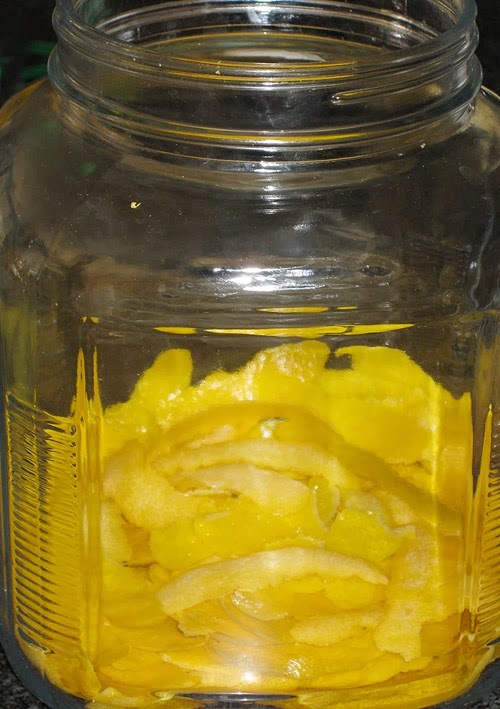 "Throwback Thursday: Taking you back through the past 6 years by highlighting some of my favorite blog posts"
Limoncello is a lemon liquor produced in Southern Italy; where the Sorrento lemons grow in abundance. Although it can be easily found at liquor stores in the US nothing quite compares to the homemade version. The process might seem time consuming at first glance but it is actually very easy. We use the following instructions as our guide. Don't stress over being exact, it's all a matter of taste. Before getting started the lemons should be washed and dried very well. 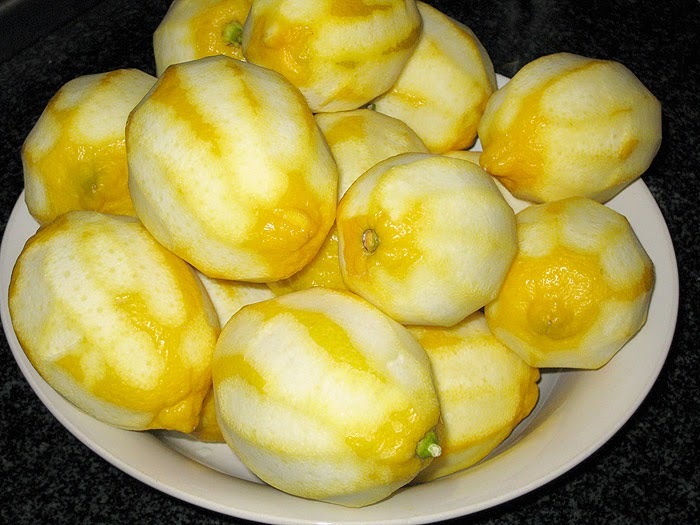 Once that is done remove the peel from the lemons; careful to avoid the bitter white pith. If any white pith remains it should be scraped off before going to the next step. Put the jar in a cool, dark place for at least 6 weeks. After the 6 week period it will be time to mix in the sugar and water. Place the water and sugar in a saucepan. Bring to a boil, stirring until it turns clear. Allow to cool before adding it to the peels. Put the jar back in the closet for at least two more weeks. Strain the mixture with a cheesecloth; pressing down to remove all the alcohol and oils from the peels before tossing them. Poor the strained Limoncello into the final bottles and store in the freezer until ready to drink. We can't get Everclear so I use 100 proof vodka (it can be found). 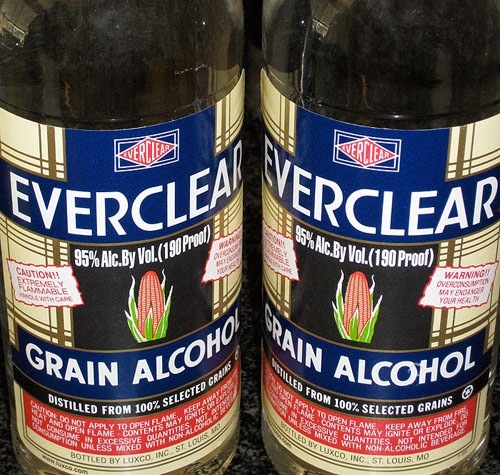 I think it varies from state to state so for anyone else who can't source the Everclear it's a good substitute. Actually for me, I prefer it, not quite the burn!